Immediate Dental Implants Los Angeles, CA | Smile Angels of Beverly Hills - Bruce Vafa DDS. 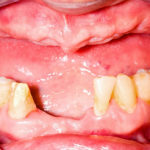 Having missing teeth in your mouth can make for a very frustrating experience as you attempt to navigate social situations and events without smiling too widely or displaying the gap for everyone to see. A missing tooth can also be uncomfortable and inconvenient to deal with. While it’s impossible for permanent teeth to grow back once they’ve fallen out of your mouth, you can improve the appearance of your smile by using dental implants as the basis for an artificial tooth. Dental implants are a relatively modern form of dentistry that has seen extensive advancements in recent years with the most current technology allowing for immediate dental implants, which allows you to obtain the complete dental implant in a single day as opposed to multiple treatment sessions that can stretch out to months. Before you schedule a consultation for dental implants Los Angeles, you should be aware of everything that same day dental implants entail as well as whether or not you’re a candidate for the treatment. Dental implants have a relatively short history in the field of dentistry. While very early versions of implants have been recorded as being used as far back as 2,000 years ago with the usage of small bamboo pegs, successful forms of metal and porcelain implants were not developed until the 20th century. Throughout history, there have been various signs of makeshift implants being used, most of which were likely placed after death because of how painful it would have been otherwise. Throughout ancient history, the primary types of implants used to replace missing tooth were made from animal teeth or teeth from other people, both of which carried a high risk of implant rejection and infection. The first creation of metallic implants began in the 18th century with gold and similar alloys. However, these implants were not very successful. The same was true with the first use of a porcelain crown on top of a platinum disc, which occurred in the late 1800’s. The main issue with each of these attempts at creating dental implants is that the body would reject the foreign materials soon after they were implanted. The only way for a dental implant to be accepted by a person’s body is for the artificial tooth to be fused directly to the bone, which was first discovered in 1952 by an orthopedic surgeon who fused a bone with a titanium cylinder. Additional studies were held in the years following to make sure that the bone and the surrounding gum tissues would heal properly. The first dental implant made from titanium was placed in 1965, which worked surprisingly well and caused titanium implants to become extremely popular for anyone who was missing a tooth. Over the years, the titanium cylinder became a titanium screw, which is considered to be more effective at being placed into rough surfaces. The screw is placed directly into the jaw where the tooth would normally be. Once the area has healed and the screw has fused with the jawbone, an artificial tooth or crown is positioned directly over the screw. In modern days, dental implants have a success rate of over 97 percent, which allows you to be confident that your dental implants Los Angeles will provide you with a beautiful smile. If you have a missing tooth, a standard dental implant can already provide you with a substantial number of benefits, all of which are available with same day dental implants. The application of a dental implant in an area where you’re missing one or more teeth means that you will benefit from an improved appearance, improved speech, easier eating, and better oral health. Maintaining proper oral health care is much easier to do when a missing gap has been filled with a dental implant. However, the benefits that you’re provided with when selecting a dental implant are buoyed with a same day dental implant. The main benefit of these dental implants is that they are much less time consuming to place into your mouth when compared to traditional implants. In almost all situations, the dental implant that you’re provided with can be fully placed in your mouth in just 1-2 visits. It’s possible that the entire procedure can be completed in a single day, which simply isn’t doable with traditional dental implants. The main issue that’s present with traditional implants is that only the actual implant or metal post is positioned in your mouth during the first treatment, which means that you would need to continue going to work or school with a gap in your teeth. The time between the first and second treatment sessions with standard implants is usually a few weeks in order to allow the implant to fuse to the bone. It’s only after this period of time that the crown could be placed over the metal post. Same day dental implants can achieve all of these steps in a single treatment session, which means that the gap in your teeth will be covered immediately. Another clear benefit of these special implants is that your gums should fit much better with the crown than would be possible with standard implants. Having the crown placed on the implant immediately allows for the gums to grow around the crown for a more natural appearance. With immediate dental implants, you’ll only require a single surgery as opposed to several. What Are Immediate (Ultratooth) Dental Implants? The immediate dental implants that we use here at Smile Angels of Beverly Hills consist of the Ultratooth device, which is the only fully functional immediate tooth replacement system that’s been approved by the FDA. 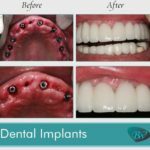 These implants are designed to be placed into your mouth in a single treatment session, which means that you’ll be able to eat immediately without worrying about how the implant will hold up. There are a myriad of benefits provided to patients who obtain immediate dental implants with the Ultratooth system, the primary of which is that this system has a 94-100 percent success rate upon placement. This type of implant also preserves the shape and appearance of your original tooth, which allows your smile to appear natural. The Ultratooth implant has a unique Eiffel Tower design that eliminates the risk of coronal bone loss that’s possible with cylindrical and screw implants. The quality and density of the bone surrounding the implant will also improve because of how the bone is compacted when the implant is placed in your mouth, which is a benefit that’s simply not available with other types of dental implants. When you’re considering your options for an immediate dental implant, the Ultratooth system is the only one that can be implanted into your jawbone without damaging the surrounding tissues. When you’re thinking about requesting these dental implants, you should know that all of the materials that are used in the making of these implants are FDA approved and completely safe for you to use. We also take a holistic treatment approach when providing patients with these implants, which means that we take your entire emotional and physical health into consideration during the application of the implant. These implants are both hard and soft tissue friendly, which allows for your gums and surrounding teeth to be kept in optimal condition. Keep in mind that there’s no inflammation reaction after the metal post is connected to your jawbone. The absence of inflammation should help to keep the pain low. If you’re worrying about the surgery that occurs with the immediate implants that we use, you’ll be provided with anesthesia that will dull the pain and keep you comfortable while the procedure is ongoing. The anesthesia can either numb the surrounding tissues or put you to sleep for the duration of the treatment, which largely depends on which option you prefer. The placement of the implant into your jawbone is a simple and relatively quick one that begins with the removal of your damaged tooth. Your jawbone is then prepared before a metal post is attached to the bone. The crown is then attached to the post immediately after the surgery has concluded, which allows you to have a full smile directly after treatment has finished. Am I a Candidate for Immediate Dental Implants? When you’re thinking about scheduling a consultation with us to inquire about the possibility of obtaining same day dental implants, you should first have some idea about whether or not you’re a good candidate for this treatment. While you’ll want to speak directly with a dentist before a final determination is made, there are some factors that can help you ascertain if you’re a good candidate for immediate dental implants. For one, it’s essential that you have good physical health and oral health. While it’s possible to obtain these dental implants with a couple of small health issues, the presence of a chronic disease, hygiene problems, or an auto-immune disease can make it more difficult for a person to be accepted for a same day dental implant. You’ll also have some issues being accepted for this treatment if you smoke on a regular basis. There are also some conditions that may make traditional dental implants more beneficial for you than immediate ones. If you commonly clench your teeth or are affected by bruxism, the continual grinding and clenching can cause problems with immediate implants. If you are interested in these dental implants, focus on maintaining strong oral and physical health care so that there won’t be any reason for you not to receive the implants. There’s always time to improve your health before you schedule a consultation. The main reason that your body should be as healthy as possible is because this provides you with the best chance for your dental implant to succeed. A healthy body along with health gums lessens the possibility that your body rejects the implant, which would require surgery to remove. You should also keep in mind that implants can fail even if you’re very healthy and maintain good oral hygiene. In general, around 5 percent of implants fail for no discernible reason. As long as you’re relatively healthy, you should be a good candidate for these dental implants. Here at Smile Angels of Beverly Hills, Dr. Bruce Vafa offers a free dental implant consultation to evaluate your candidacy for immediate dental implants. 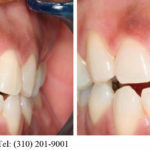 At Smile Angels of Beverly Hills, we understand that the cost of dental treatments can be an exceedingly important aspect for whether or not a person obtains the treatment, which is why we want to make sure that our prospective patients are fully aware of the general costs pertaining to the dental treatments we provide, which includes immediate implants. Like many dental treatments, immediate implants can be costly with most providers. However, we currently offer a single dental implant at $1,995, which is a $4,650 value. 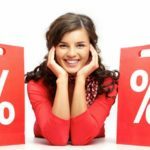 The substantial amount of savings in comparison to what you would typically spend for a dental implant can be highly beneficial if you require more than one implant. The fact that we provide the full implant in a single day also allows you to save money when compared to a traditional implant. Since the treatment for a traditional implant is delivered over several treatment sessions, the costs can be substantially higher than the ones offered with our immediate implants. This is also a relatively small price to pay for a fuller smile. A complete smile can bolster your self confidence, which can manifest itself at your job, when on a date, or when giving a presentation. When you purchase one of our Ultratooth implants, the entire cost of $1,995 covers a substantial number of services, which include the full implant, the initial examination, a digital x-ray, the implant surgery that must be performed, the placement of an abutment, and the final placement of the dental crown. Every facet of the implant treatment is covered by this cost, which means that you’ll be fully informed about what you’re getting for your money when you first step into our offices. Contact our offices today for a free evaluation and estimate that will put you on the road to an immediate implant. Now that you know all there is to know about immediate implants, you can start searching for a provider that will give you these implants. Here at Smile Angels of Beverly Hills, we focus on providing all of our customers with exemplary dental care no matter their needs. When you contact us about these dental implants, we’ll schedule a dental consultation for you, which is entirely free and includes a second opinion to cover all of your bases. Everything about this consultation is free, which includes the visit, the actual conversation that you have with one of our dentists, and the physical exam that makes sure that you’re a good candidate for the treatment, which means that you won’t lose anything. If you’re interested in same day dental implants, call us today to set up your first consultation!